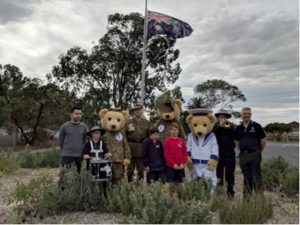 ANZAC day was commemorated on Tuesday at Furlong Park. It was a moving service with the school captains, Mohammed and William presenting alongside the other senior students. Natalie Suleyman was unable to attend due to being in Gallipoli however a representative for the MP came, Koray Adal. We also had Andrew and Alex from Sunshine Brass Band play the bugle and drums whilst David Pearce from Legacy attended with his bears! The small Legacy bears are available to purchase from the office for $15 each.